Loaded Baked Potatoes, Fresh Salads & Sweet Endings! With endless Restaurant Choices at your disposal, we consider it a BLESSING to earn your Business! 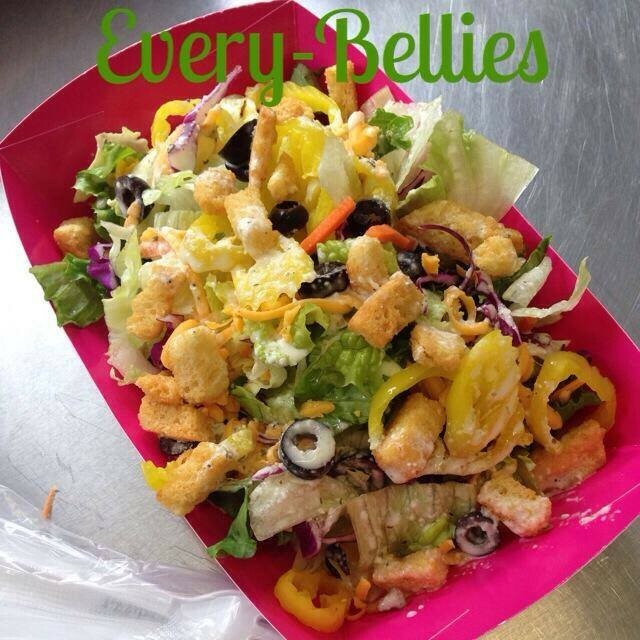 EVERY-BELLIES simple Menu allows us to provide, Fresh, Delicious Food & Friendly, FUN SERVicE! 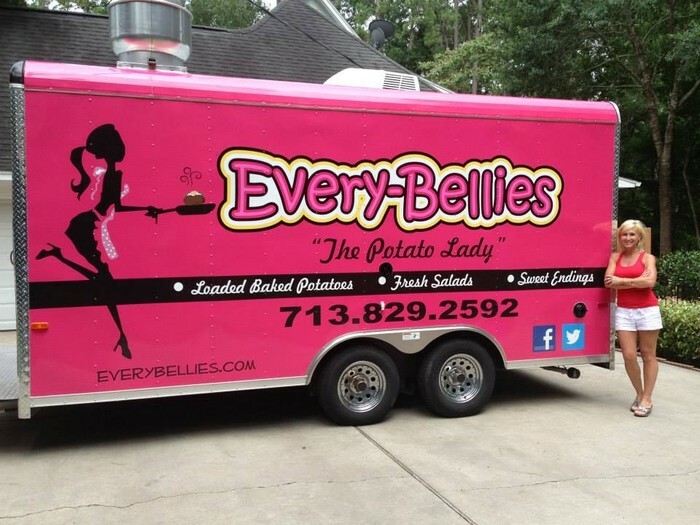 What makes OUR TATERS special? 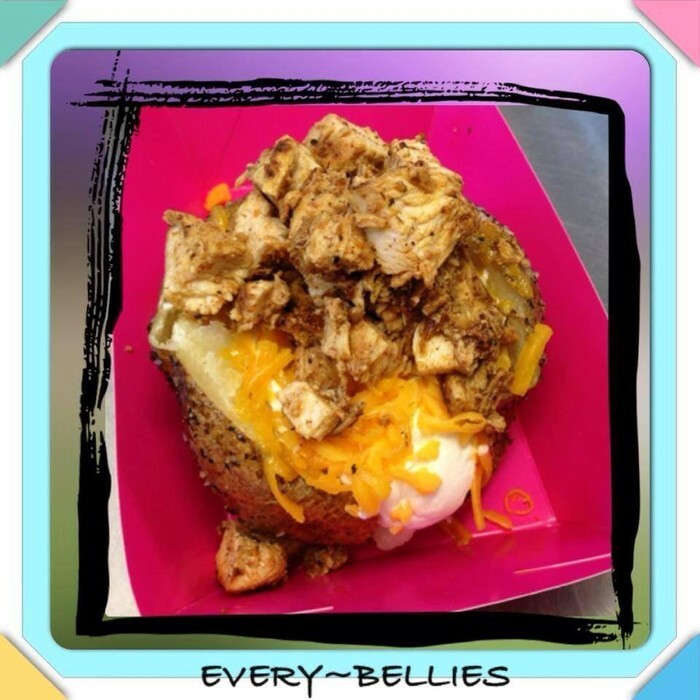 It starts with our secret to the Potato Skin and is Custom Built by YOU! Top it off with our Customer Favorite: Blackened Grilled Chicken or Smoked BBQ Brisket! Not in the mood for a Potato? Try our Loaded Salad, topped with Grilled Chicken, and made from Scratch Dressings! And who doesn't LOVE a Sweet Ending? We offer the sweetest of them all! The BEST Homemade Cookies in Town! Be as Healthy as you like! Or not?! 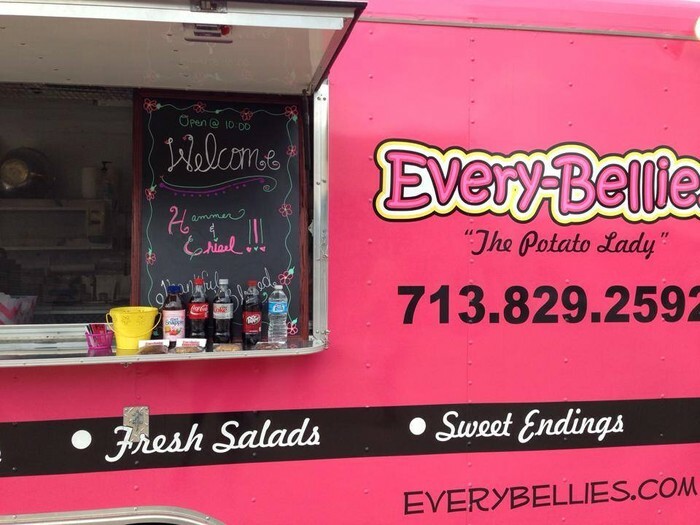 We promise it will Satisfy EVERY-BELLY! 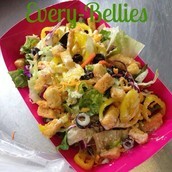 Tater Lady Favorite: Fresh Salad with Olives, Croutons, LOTS of Banana Peppers, Cheese & Made from Scratch, Zesty Parmesan Italian Dressing. YUM! 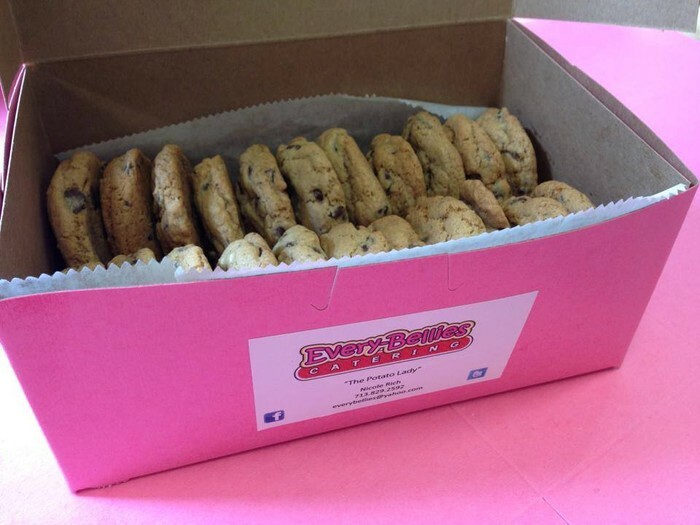 Our famous Chocolate Chip Cookie! Connect, Grow & Bless with EVERY-BELLIES! Follow Us! Tweet with us! Visit our Website and Blog for our Full Story! 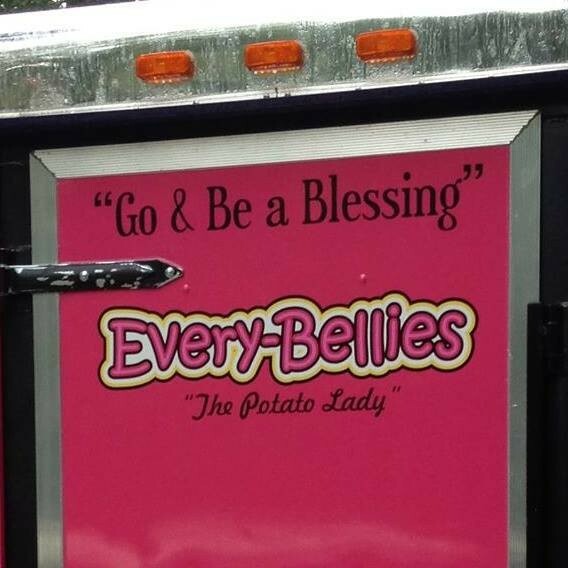 We're here to make a difference, One Tater at a time! 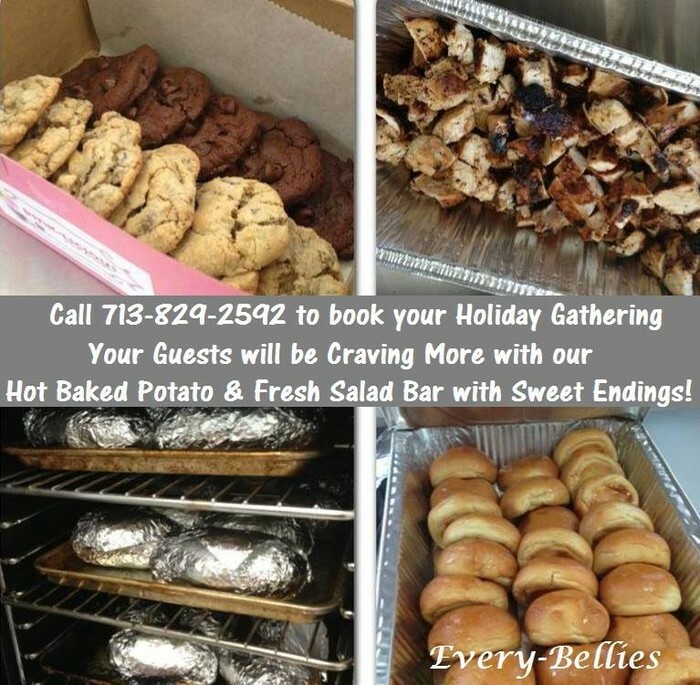 Call EVERY-BELLIES to book your next Catering or Event! 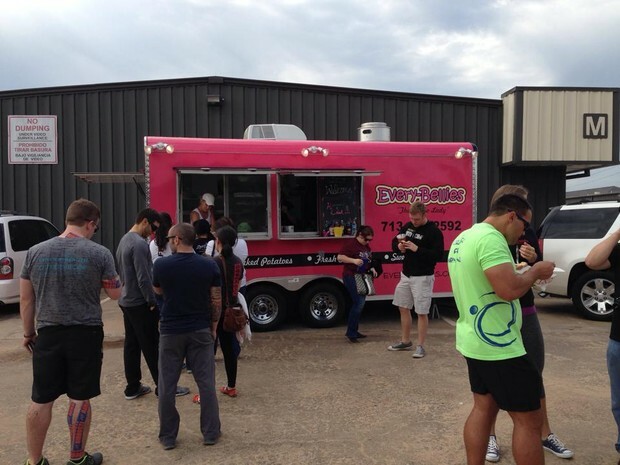 Although we are located in Magnolia, We cater ALL of Houston & Surrounding Areas! 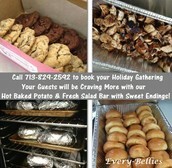 Let us deliver Delicious Hot Taters, Salads & Sweet Endings to your next Corp Lunch, Special Occasion or Business Office. 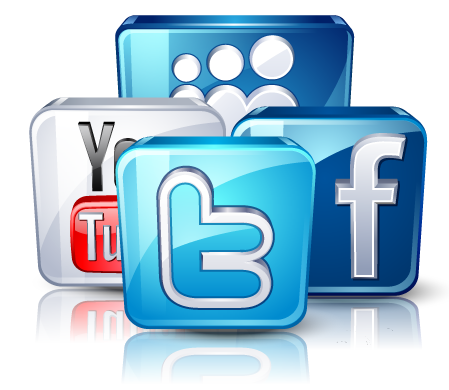 You can also follow our Events and our Lunch Location on Twitter & FB! 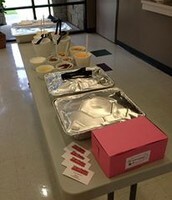 Mistletoe Market Baked Potatoes, Fresh Salads, Sweet Endings & Shopping! Join us at the Mistletoe Market on Saturday, Nov 23 in Historic Downtown Conroe! Come see us at Main Street Crossing! Not only is there great shopping at the Holiday Market, you can head over to GermanFest for Family Fun & Entertainment! Don't forget to bring canned goods for the Food Drive! Eat Good. Have Fun. Bless Others! 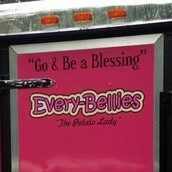 Our Daily Reminder & The Foundation of Every-Bellies! Read our Blog for the full story. 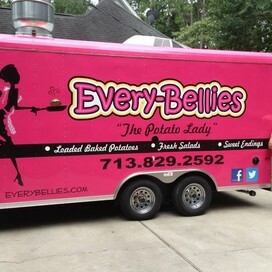 Taters, Salads & Sweet Endings satisfy EVERY-BELLY! We make it easy for you! 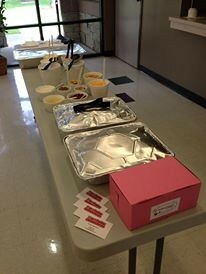 Call us for your next Event, Corp Lunch..
Loaded Tater and Salad Bar with Sweet Endings!